Seriously. Monitoring pet water consumption is important. It can tell you EVERYTHING about your pet’s health. OK, so maybe not “everything”, but water is your pet’s #1 nutrient, and drinking habits can tell you and your veterinarian a LOT about your pet’s health. Water is your pet’s most essential nutrient. It transports nutrients to the body, removes cellular waste, and provides cooling. Adequate water around your pet’s joints and internal organs helps cushion the shock when running or jumping, and water lubricates internal and external body surfaces. But bad things can happen when your pet drinks too much, or too little. As you’ll discover, knowing your pet’s water consumption is one highly reliable method of monitoring and maintaining your pet’s overall health. Years ago, Unicorn Inc. began research and development on the first total water consumption tracking system for pets (now patented and patents pending). I’ll soon explain HOW our pet water intake system works, but first, let me explain WHY knowing your pet’s water consumption is important. About 67% of your healthy pet’s weight is comprised of water. When that 67% changes significantly up or down, serious health problems start to emerge. It’s recognized that when a pet’s dehydration exceeds 12%, death would be imminent without emergency care. Even dehydration levels as low as 8% can still lead to urinary tract problems like kidney stones, or even organ failure. An alarming fact that researchers found over 40 years ago showed that dogs don’t “feel” thirsty until they are already 6% dehydrated! At that point, even if they start drinking a lot of water, their body will require from many hours to a full day to fully rehydrate to a preferred normal level. Dehydration causes a reduction in the volume of blood plasma, and that causes reduced cardiac output. To make matters worse, if dehydration is occurring during exercise, health problems are exacerbated since exercise increases the demand for higher blood flow at a time when there is a decrease in cardiovascular performance. Reduced fluids also rob pets of their ability to cool down. As you can understand, severe dehydration can be deadly serious – and unfortunately, your pets can’t tell you when they are becoming dehydrated. Many pets instinctively know to drink just the right amount of water for their needs, but some pets have a decreased urge to drink (adypsia) and don’t drink enough water, while other pets always feel thirsty (polydipsia) and drink way too much. Sometimes this is caused by psychogenic origins, but other times changes in drinking behavior are caused by a pet’s physiological changes. This article only discusses how new technology can discover underlying physiological causes. Pets should be continually hydrated during any infrequent rise in activity (for the same reason that human athletes start drinking well before a tough physical competition) and pets should re-hydrate throughout the activity. On the other hand, over-drinking creates a separate set of problems. As one example, a dog that plays in the lake all day may swallow a lot of water (just like you might). Over-drinking causes electrolyte imbalance that can cause painful muscle cramps – just like in humans. Since your dog can’t talk, it will just quietly endure the muscle cramp pain. It stands to reason that high-intensity activities, like chasing a Frisbee® for hours on end, increases your pet’s anaerobic metabolism. In much the same way as your human body creates lactic acid that causes cramps when you over exercise, your pet can experience low blood pH levels and lactic acid build-up from high-intensity activities for extended periods. Over-drinking can also create electrolyte imbalance. Electrolyte imbalance is not to be confused with electrolyte disturbance, a medical condition associated with low phosphate levels. Drinking too much water by an otherwise healthy pet reduces the level of sodium that is otherwise needed to maintain nerve, muscle and cellular function. Sodium also helps to regulate your pet’s blood pressure. So, it’s up to YOU, the responsible pet parent, to keep your pets well watered, yet guard against over-watering. A general rule or thumb has been long established by the veterinarian community: your pets need about ½ to 1 fluid ounce of water per day for each pound of body weight. In other words, a 10-pound dog should consume about 10 oz. of water per day. But, if your pet spent a hot and humid day at the park chasing a Frisbee®, this number could increase considerably, so a “rule of thumb” does not work for all situations. You must recognize that the total volume of water your pet “drinks” during the day goes way beyond the water they lap from their bowl; it includes the water that they EAT, such as the water content of meat juices, and the water content of their food. Wet pet food typically contains about 85% moisture, while dry kibble contains about 5-8% moisture. But keep in mind that older dry kibble in opened bags may have higher or lower moisture than what the food label says depending on the average humidity of your area. Figuring out your pet’s water consumption could get complicated. How does one easily convert 1 cup of food containing 8% moisture to ounces of water? Once you figure that out, you’d need to add the moisture from sources other than the water bowl to total your pet’s daily water consumption. For instance, how much water does your dog drink when it “bites” at your lawn sprinklers? Obviously, tracking all of this data has been virtually impossible unless the measurements are being made in a controlled laboratory environment – something that’s not available to a typical pet owner. To make drinking management even more impossible, consider that a nursing dog should drink three to four times the amount of water she normally drinks. Puppies need to drink about ½ cup of water every 2 hours depending on breed, and they should be closely monitored and encouraged to drink. The fact is that daily water consumption is almost never monitored for the roughly 200 million pets living in American households, and underlying medical problems are allowed to silently progress – often to the point where the cost of treatment becomes prohibitive – even if it will work at all. Technology is changing all that. It’s important to know that long-term changes in water consumption could signal onset of chronic diseases. You now understand that too little water can lead to acute dehydration – especially if your pet is engaged in high-energy activities, and that too much water can lead to electrolyte imbalance and muscle cramps. But what if your pet starts drinking a lot more water each day than they drank each day last year, or the year before that? The obvious first question is “how will you even know?”. As your pet ages, their activity level, and its consumption of water and food, naturally change. All three of these factors are linked together. As you can simply imagine, if your pet increases activity, they increase food and water needs, and if they decrease their activity, food and water needs diminish. These variations, as well as age-related changes are natural and to be expected. 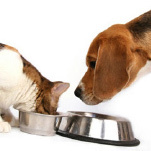 Over time, each pet establishes their own “baseline” food and water consumption. However, many times the variations in food, water and activity exceed a normal deviation from their baseline, indicating a possible underlying health problem. Let’s look at a few. When pets are thirstier, they drink more. If the increased thirst is not caused by increased activity or hotter, more humid environmental conditions – there is often another, potentially more serious reason. If these symptoms are related to increasing water consumption over the long term, then your pet has probably had a gradually worsening medical problem for quite some time! These severe symptoms indicate that your pet’s health problem may have needlessly progressed to an advanced state. Yeah – there’s a lot going on here. But what if you could detect the slightest trend increase in water consumption BEFORE you could see any obvious symptoms? Treatment could be more effective, saving your pet from having to endure potentially weeks or even years of misery and discomfort from these conditions. 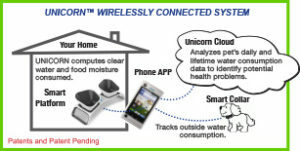 UNICORN™ instantly detects water consumption trends and anomalies above the pet’s baseline. As I previously outlined, older pets are less active than young adults, so they will typically reduce their daily water consumption. That’s normal. But what if they start drinking a lot less than their normal baseline? Leptospirosis – bacterial infection. Can reproduce in the liver, kidneys, nervous system, eyes, or reproductive system. Can be fatal. Parvovirus – a highly contagious virus. Once again, early detection could lead to earlier, more effective treatment, and much less discomfort for your pet. 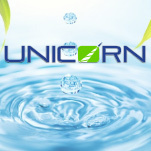 UNICORN™ detects water consumption trends and anomalies below the pet’s baseline. So far, we’ve discussed the issues associated with short and long term water consumption increases and decreases, and why it’s important to monitor your pet’s water consumption patterns. Now, here’s how Unicorn has addressed this problem. Knowing the total daily water consumption of your pet means that you track all water that they drink and eat from all sources – their bowls, toilet, biting sprinklers and more. The content of any bowl can be measured – so this part will be understandable. 1. The water bowl is simple. Water weighs about 1 ounce per 1 fluid ounce. The Unicorn Smart Bowl Platform weighs the full water bowl, then subtracts the weight of the water the pet drinks, adds the weight of more water when you refill, and computes all those measurements to arrive at the total number of ounces of water consumed from the water bowl during the day. 2. The food bowl is a bit more complicated. Once you fill the food bowl with Unicorn pet food (we know the actual moisture content), our software automatically computes the total amount of water contained in the total amount of food in the bowl. At the end of the meal, our system subtracts the water in any remaining food, and computes the total number of ounces of water consumed from the food bowl for that meal. If you have more than one pet, you probably know which pet is drinking when you hear their lapping of the water, or the clanking noise of their collar tags on the bowl. In other words, you are familiar with your pet’s unique sounds when they are drinking. 3. Unicorn’s Smart Collar takes this to another level. Our collar has accelerometers built in – just like the popular FitBit and iWatch devices. Using our patent pending methods, the collars precision-track movements associated with drinking and create a unique “drinking fingerprint” for each pet., and use proprietary algorithms to compute the total water consumed. In other words, if the collar knows that your pet drinks 1 ounce of water every 15 seconds, then if your pet drinks water from a lake for 30 seconds, the collar will determine that your pet drank 2 ounces of water. The collar will track how much they drink from an open toilet (that you don’t know about), or from the swimming pool, or from a new rain puddle. Now we know how much water they are “sneaking” from sources other than their water bowl. In review, the Unicorn Smart Bowl Platform has recorded and stored the total water from the water bowl (1.) and the food bowl (2.) and the Unicorn Smart Collar (3.) has computed and recorded all water that your pet drank based on the total time that the collar was in “fingerprint” mode. Keeping it simple, just know that there are some computational algorithms that our system completes each day to verify the accuracy of all of the data. When the pet returns to the Unicorn Smart Bowl Platform, the Smart Collar sends the data to the Smart Platform where a microprocessor computes the daily total of all water from all sources, then sends this information to your pet’s lifetime record on the Unicorn Cloud. That’s where our system analyzes your pet’s daily water consumption, looking for tiny increases or decreases out of normal range when compared to your pet’s lifetime baseline. When our system identifies changes that could signal a potential health problem, it sends you an alert with information that you should share with your veterinarian. There you have it. Just put on a collar, provide Unicorn food and water your pets like you always do. The Unicorn hardware and software does all of the water consumption data collection and analysis, so you don’t have to give it a second thought. Just another way that Unicorn is helping your pets live happier, healthier and longer.